Sometimes a little enhancement can go a long way and with the ComfortGel Blue Philips Respironics has shown how a few small changes can make a great mask even better! The ComfortGel Blue Nasal's redesigned forehead pad reduces pressure points for a more comfortable experience; and premium headgear makes fitting and adjustment a snap and helps maintain a proper seal. Together, these features create a higher level of comfort and stability than was previously possible. In addition, this unique headgear with EZ release tabs easily adjusts in four places for a secure, custom fit. The Premium Headgear evenly distributes tension and helps to prevent mask leaks. The ComfortGel Blue Nasal's new generation, soft, pliable blue gel cushion readily adapts to facial features, simplifying fit and contributing to extended comfort. A Sure Seal Technology (SST) Flap provides a membrane-thin layer over the gel cushion to improve seal and make cleaning the mask quick and easy. The ComfortGel Blue Nasal's lower micro-exhalation ports with an integrated swivel that quietly directs air flow up and away from the mask wearer and bed partners. 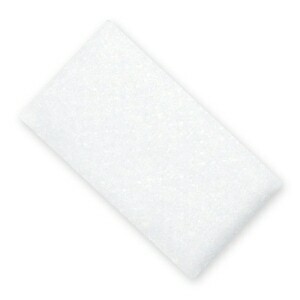 ComfortGel Blue Nasal is available in four sizes -- Petite, Small, Medium, Large -- to fit a wide range of users. If you're not sure which size you need you'll find a sizing gauge available in the References section of this page; and a FitPack with Small and Medium cushions elsewhere on this site. 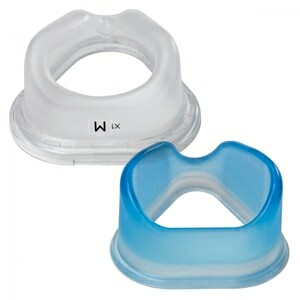 In the Package ComfortGel BLUE Nasal CPAP & BiPAP Mask with Adjustable Headgear. It just didn't work out for me and I decided to return it on the agreement of a 30-day satisfaction guarantee. I was fighting between pressure loss at the mask-nose interfase or pressure sores. Therefore I decided to return the nasal mask. Have used the same type of mask (several brands) for over 10 years. They are never a perfect fit but after adjusting here and there anyone can get comfortable with it. The quality on this one is good and construction is sturdy and stays together well. There are other options out there, but so far none has worked any better than this one. It's very comfortable to wear at anytime. Thank you so much. 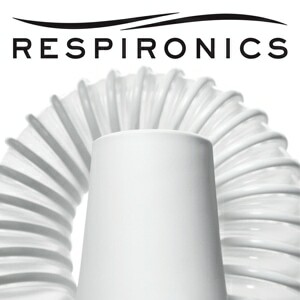 I've been using DirectHomeMedical.com for all my CPAP supplies since I first started using one about 7 years ago. They provide great information and service. They have a wide variety of options. I have never been disappointed. No problems or air leaks so far. Very pleased especially with the discount.. Excellent product and excellent service. Thank you so much!!! Connection from strap to mask is awkward, to get a tight seal to eliminate air leak the mask is pressed against face to the point total discomfort and the cushion that rests against the forehead is so big that it is uncomfortable. Their awesome customer service and quick!..i was going thru help medical and they sent my package usps and it got lost and wont help me! So glad i found a great place to get my mask! Easy to order and it was delivered quickly. Very Fast shipping and a great product! Very happy with this mask. It fits well, and was available at a good price. Its comfortable sometime i have to keep adjusting the straps to avoid air leaks. I got a great deal with shipping included. The mask was exactly what I wanted and a perfect replacement for my old one. How can you beat free shipping?? The price for the product was the same as the other company I was buying from but with free shipping I'm a new customer. I do not like it. It hurts my nose and leaks really bad. GREAT COMPANY TO TRUST AND DEAL WITH! This company is the best...always honest and speedy with all transactions. I have used them many times and am a very happy customer! Perfect fit. Very comfortable. Great price. This was the first of many orders. Great people. This is my husbands favorite mask and headgear ever. Purchasing my husbands cpap supplies through Direct Home Medical is so easy and quick. This is my only shopping place to go for his supplies. Thanks DHM for making it so easy and quick shipping options. Still to hard to sleep with uncomfortable head gear. It leaks very bad and can’t use it. Mask cuts in on the lower part under the nose. Husband loves this mask. Bought extras when mask finally wears out. Great Item and Customer service. Very happy with my purchase and will shop again. I should have found this online website sooner. I couldn’t believe the great price and speedy FREE delivery !!! It's a comfortable mask, I'm happy with it and will probably order again in the future. Best of all mask so far. One of the best among all. I have used many Brands but this one is one of the best. I purchased two masks (one Small, one Medium) determined to have one of them fit. Neither did. The nasal stem is too long and non-flexible; It tilts but still doesn't fit. The nasal cup extends over my top lip as well as my nose. A seal could not be achieved. I couldn't return either mask because I had opened both packages. A total waste of money. I was surprised and delighted by the competitive prices, free shipping and timely delivery. I’ll definitely order from them again. Quick,great price and super easy. Fit and function is perfect. I could not get the mask adjusted to where i was confortable. Not as comfortable and more bulky than the mask I had before. Also you have to unhook the bottom strap to put it on, where with my old one you just stretched the straps over your head. So they could have put elastic straps with this, would have made it better. Face fit is fairly comfortable. It was a good product and good price. Excellent! As described & quick shipping! DirectHomeMedical.com has always been great - fantastic pricing quick shipping!!! I think the medium size is to big. am having trouble keeping it above my upper lip. I have to have the fit tight, to keep it from seeping out air from the bridge of my nose or sometimes around the lip. i'd like to try a small to see how this works out. also the bracket is to big because it hits my pillow when am on my side of which I sleep a lot of the time and the straps are to big because the top strip will slide down or the bottom will slide up, the center strip will double over. upon submitting this review I get a bad ratting against direct home medical co. my review is not against the co. but against comfort gel blue nasal mask. Fit great. Works great! Bought another. Great price fast shipping and great quality. Great mask,great price and very fast delivery! Exactly what I needed when I needed it. Good prices and shipped right away. Received in a short time. But the company quickly responded that I would get a refund for the unused smaller one. I've purchased from direct medical each year for the last 6 years and the prices have been consistently the best on the web. Always delivered as advertised. The mask did not fit and was not comfortable. Returned credit and reordered another mask. It took 2 or 3 nights to "break in" the mask and adjust the fit. However once done the quality of sleep is very good. This mask has proved to be an excellent replacement for my previous mask that is no longer available. Fit is perfect, and with the comfortable headgear, leaves little to no visible pressure marks the next morning. This mask works pretty well. It creates a good seal and stays put pretty well. However, the little vent on the top puts out so much air and it's such a strong pressure. It causes the mask to whistle if anything gets even remotely close to it. I sleep with my hands and blankets under my head so it has taken some figuring out. I wish the filter was a little more closed off so the air pressure coming out wasn't so strong. Rather than the gauzey-type filters I'm used to with Philips Respironics machines, this one is just a piece of plastic covering the hole. Also, it digs into the skin around my nose and is a little hard. Not super comfortable. Overall, it's a decent mask but I don't think I would purchase another. This is a great company with excellent selection of products and quick delivery. I appreciate their no hassle ordering. Great product, shipped quickly. easy on/off with the "quick clips". Gel nose piece to stiff, leaks every time I try to use it. Head gear is aright, but the quick latch is a pain to use. Hard to undo and snap back into place. wish I had not bought it. The product is very light comfortable and is made of quality material . I am happy with it and you will most definitely have me as a life long buyer. Great service as always and shipping is fast. I always wore this mask, its comfortable wearing it. Came quickly, fit to a T. Very comfortable and will definitely get another one from you when I need it . I received it in app. 3 days! VERY happy about that. No leaks at all. Comfortable headgear. Finally! I now have a GOOD night sleep. Thank you all at Direct Medical. It was a bad seal could not get it too. Hated the quick release sent it back not for me. Was super excited about a slightly new design for this mask but wasn't so much after using it. Cannot get it fixed to lay correctly on my face and it causes bumps on the top of my nose where it pushes down. Seems slightly larger than the older design and I just can't get it fixed to get any sleep. Very disappointed. I am finally getting rest. Struggle getting a comfortable fit and seal. I have used others, but this is one of the most comfortable masks out there. The order showed up earlier than expected, which was a nice surprise and needed. Easy to buy. Great service. Great products. Great prices. It is comfortable and quiet! Great item and even greater price. I shopped around and could'nt find a better item at a better price. It is very comfortable and was shipped very quickly. Thanks. I liked it. I like that the strap swivels so I don't get it all twisted up. My face is small and it feels big but it still works. I wish it didn't push up my eyes and cause bags under them. I hate this mask, it’s uncomfortable and stiff. By morning I was sore. I ended up putting my old nose piece onto the headgear because I could not use this mask. Very disappointing! Awesome works like it should. Direct Medical is a fabulous seller! I do not like the way the head gear attaches. headgear release clip design just doesn't work. It's both a design and fabrication quality issue. I bought based on price but this product is no bargain,. Comfort Gel headset feels great, but the plastic breaks too often. Very pleased. Product was as represented. Would buy from Direct Home Medical again. The mask fit and did the job for a good sleep. Glad to find it available on line. Very satisfied customer. Works well. Great Service; Do not like the mask. Product shipped prior to the promise date and arrived without incident. It was well packaged to protect it from damage during transit. I highly recommend the seller and will turn to them again for other items. The mask is difficult to fit tight to my face without getting it too tight. It wants to leak around the edges which is annoying. To prevent it from doing that, I had to tighten it so much that it bruised my upper lip and made my front teeth hurt. I will continue to work with it as I really do not want to buy another one at this point. The mask is very comfortable and the right fit. I have used this mask previously. The quality is very good and the product comes quickly. I am very pleased with the gel mask I purchased. My sleep pattern ha improved immensely. I am very satisfied with the product and the pricing. Thank you! Great mask. I have a hard time latching it but I'm getting better. I think it's just getting use to it but what I love, it doesn't come off during the night. I only have a few marks on my face. Great fit. Just received mask today and tried it on, according to directions. I can't get it to stop leaking. I tightened it on top and bottom to no avail. Too much and it hurts, no better that any other mask I've had and I have had a lot. Thought the blue gel would be different. They're all the same. Very please with the product! I purchased this as a replacement for my husband's old cpap mask since it was an identical item. My husband couldn't be happier with it! Thank you!! The Comfortgel Blue Nasal CPAP Mask is indeed a decent replacement for the Comfort Classic. It's a tiny bit heavier, but that doesn't matter to me, while comfort does. Came nicely packaged, fit well, and is comfortable. very happy with purchase! This was a great purchase.....Couldn't find a better price and the masks were exactly like the one I use. This product works well for me. This is a repeat purchase. The value is excellent. The price was reasonable. The interval between order and receiving was less than a week via USPS. Direct Home Medical is my go to store for home medical products. Kudos for offering USPS delivery to Hawaii. The Comfortgel was my original mask design 10 years ago before I switched to the Easylife CPAP mask, which has now been discontinued. Frankly, the Comfortgel is no match for the Easylife mask in terms of comfort even though both appear to be similar. In fact, I suspect that calling this mask Comfortgel was a cruel attempt at irony. The mask leaks badly unless I tighten the straps so tight that I wake up at night with face ache and walk around all day with strap indentations on my cheeks. It's exactly what I expected. I was not comfortable wearing mask. Still prefer nose pillow type. Good for people who can tolerate mask. Just not me. Love this mask! Feels like skin on skin! Very comfortable and best part, it doesn't leave intentions that may lead to scaring.. I bought this for my brother-in-law the price here is far less than what he has been paying elsewhere for the exact same mask and headgear. I have used this set up for many years now and it really works good for me . Once the headgear is adjusted it stays and fits and I get a good nights sleep . I did not like it as it was too heavy. This mask is very uncomfortable and has woken me up several times. The air flow leeks out of the corners of the mask and makes hissing sounds. The only way to avoid this problem was to tighten the mask to the point that it leaves my skin indented in the morning. The mask was/is comfortable - but after a few hours of use, the are pumping out of it was really really cold. Happened two nights in a row. Could not continue to use it. My cpap has a humidifier, but no heater (s9 auto-set). That may make the difference. Not sure. I also bought a comfort gel nasal mask - no issues with cold. Comfortable, super quiet, best sleep I've had in years. The mask and headgear is much easier to get used to, very comfortable. I highly recommend! This newer Comfort Gel Nasal Mask is 1) Heavier than my Comfort Fusion Nasal Mask 2) Expels the bypass air onto my chest rather than over my head (I sling the hose over my head, between the wall and my mattress) 3) The bypass air hole seems smaller on the Comfort Gel Mask and therefore more forceful (overall bad design for the way I like to arrange the mask and hose for sleeping). 4) Not as comfortable as my discontinued Comfort Fusion Mask. The gel sides are too rigid on the Comfort Gel Mask. I get that the sides must be rigid enough to seal and act as a stand-off for the hard plastic bits of the mask but there needs to be a much more comfortable transition in the gel rigidity at the point of contact with the face. 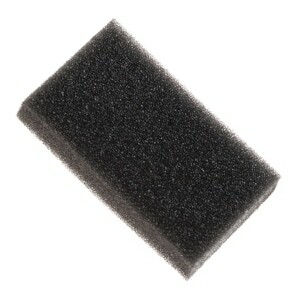 5) I tried it for four nights in a row with various head strap tensions before my face became sore and I returned it. 6) Thank you Direct Home Medical for your free 30 day trial. I don't know what I will try next since I can't get replacement seals for my Comfort Fusion WHICH WORKED JUST FINE PHILIPS. I've tried some of the new masks but always go back to this one, I find it comfortable...so I'm sticking with it! This is a good quality mask, if you're not a mouth breather. However, I am, so it's not for me. This mask is different from my previous mask. My previous one was falling apart. It is very comfortable and I am glad that I ordered it. I am glad that I found this company to order my supplies from. A more pleasant experience than my insurance designated supplier. Product works well; however has very poor design on headgear attachments------down the line the two (2) ears will snap and break Making mask TOTALLY useless!I have to many replacement parts to Switch now. Second time I ordered this product and the headgear has no elasticity to it. Without the give to the headgear it makes it uncomfortable to wear. I've been using the ProFile Lite for 10 years and they might be discontinued. Thankfully DHM has them. Just in case they are discontinued, I tried the ComfortGel Blue in the same size. The COMFORTGEL mask is not as wide as the PROFILE LITE and "cuts" into my face. The gel doesn't seem as soft as well. The Respironics mask was delivered quickly and in good condition. The mask performs beautifully. I will continue to do business with Direct Home mEDICAL. Gel felt much better, but could not find "good" fit. Too much head gear with which to deal. Works well, but. I have a narrow deep nose bridge and it has trouble sealing well. By moving it up my face a little it seals pretty well by resting partially on my lower forehead. But much better than the last one which gave me sores - so overall good. My husbands been buying this product for a few years from this company. Their product is exactly as they claim & its comfortable. A LOT cheaper than buying from a local medical store!! I was afraid when I purchased this mask, but it fis, more comfortable than the one respironic discontinued. Thanks for my new blue nasal cpap mask with headgear. It got here fast and I live in Hawaii. I wil definitely be buying more products for my cpap machine. I've used the previous version of this mask for 15 years, and while the physical mask and headgear are fine, the newly revised angled exhalation micro ports just doesn't function properly. I'm not certain if it lets too much air out or not, but after a week of not sleeping properly, I switched out the frame and went back to my old housing and sleeping fine. Wish they would have a left a great alone. Very comfortable and fits really well. This is the third ComfortGel Blue CPAP mask I've owned and it is by far the best. It is very comfortable. It doesn't feel as if an elephant is sitting on your face. Hubby says it is quieter, too. The service at Direct Home Medical is exceptional. An order for a new CPAP mask was placed Monday morning and the new CPAP mask was delivered that Thursday. I could not be more happy with the mask or with the service provided by Direct Home Medical! I've used this mask for years. For me, nice fit, comfortable. You guys are a real find. Great service, great prices, fast delivery. 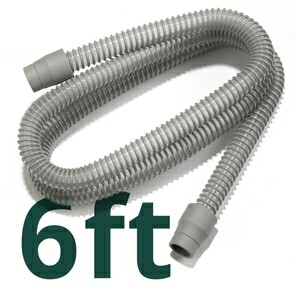 You are now my go to supplier for CPAP supplies. I have now bought twice from your company and have been very satisfied with your service. Exactly what I was looking for. Quick delivery. Plesant agents to deal with. I used the product for a few nights and have given up on a nose mask now. If I get a goosd seal, I would wake up from the pain on my nose bridge. I have palyed with head gera so much with no good result. I would end up taking it off in middel of the night due to pain.